Okaaspain, tienda online de mercedita en forma de t con lazo y hebilla en lona. 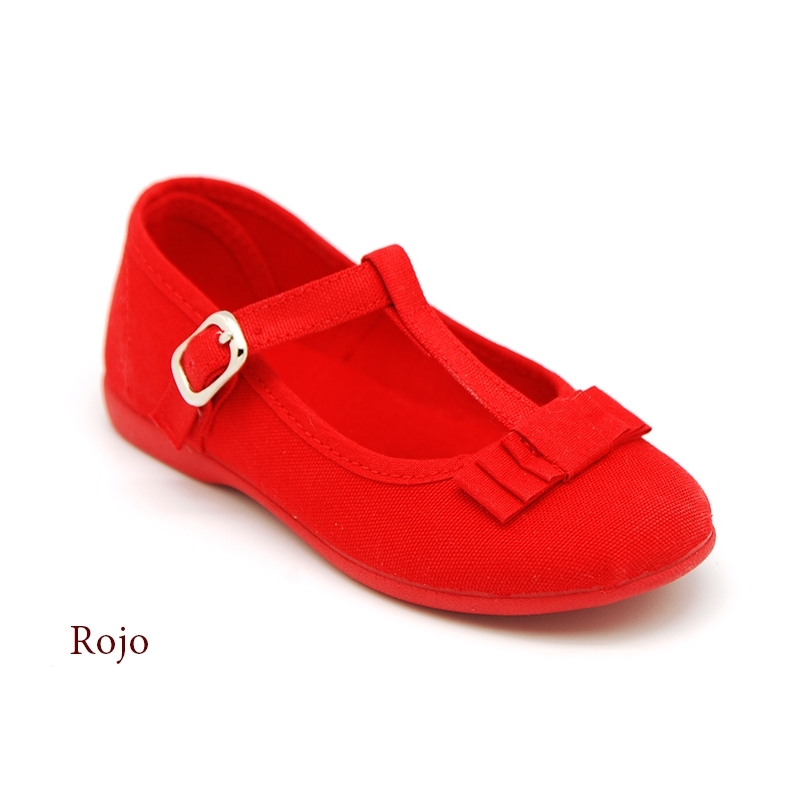 > First Steps>Mary Jane>Cotton canvas T-strap little Mary Jane shoes with bow. Cotton canvas T-strap little Mary Jane shoes with bow. 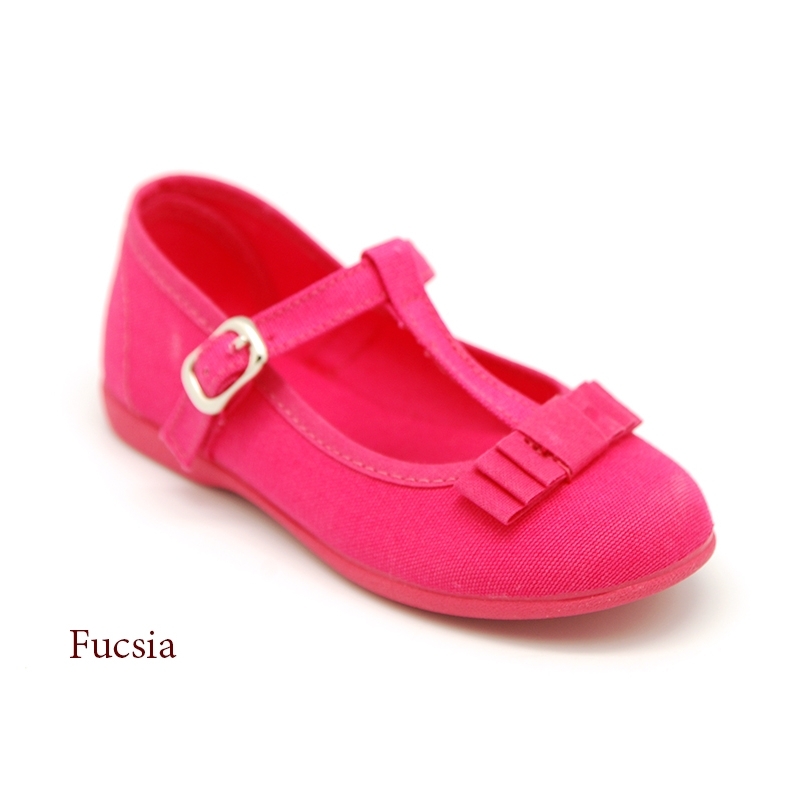 Cotton canvas T-strap little Mary Jane shoes with buckle fastening and bow for little and toddler girls. 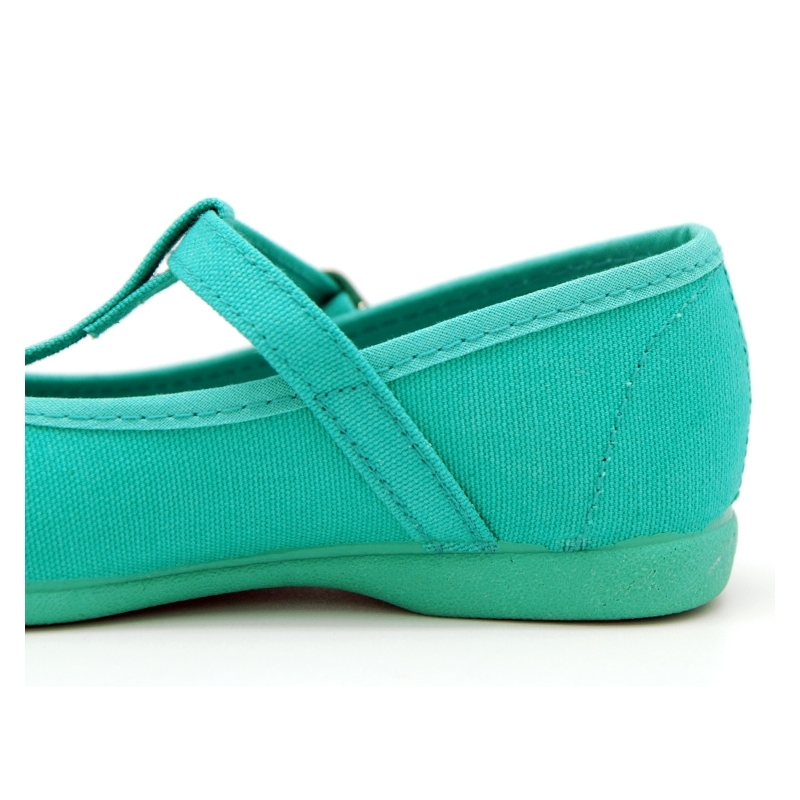 More info about Cotton canvas T-strap little Mary Jane shoes with bow. 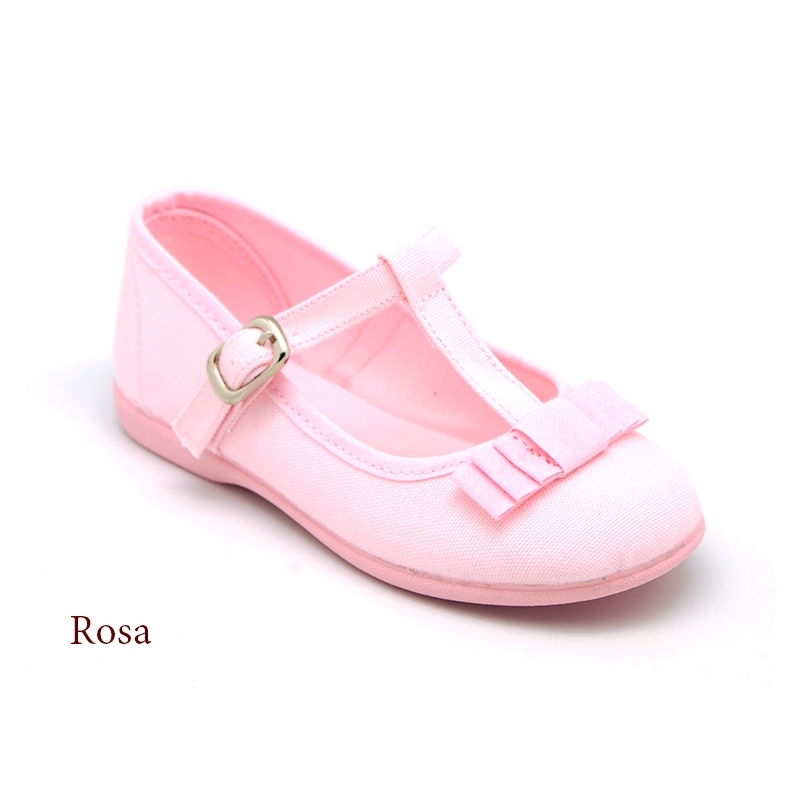 Cotton Canvas T-strap Little Mary Jane shoes with buckle fastening and bow for little and toddler girls. 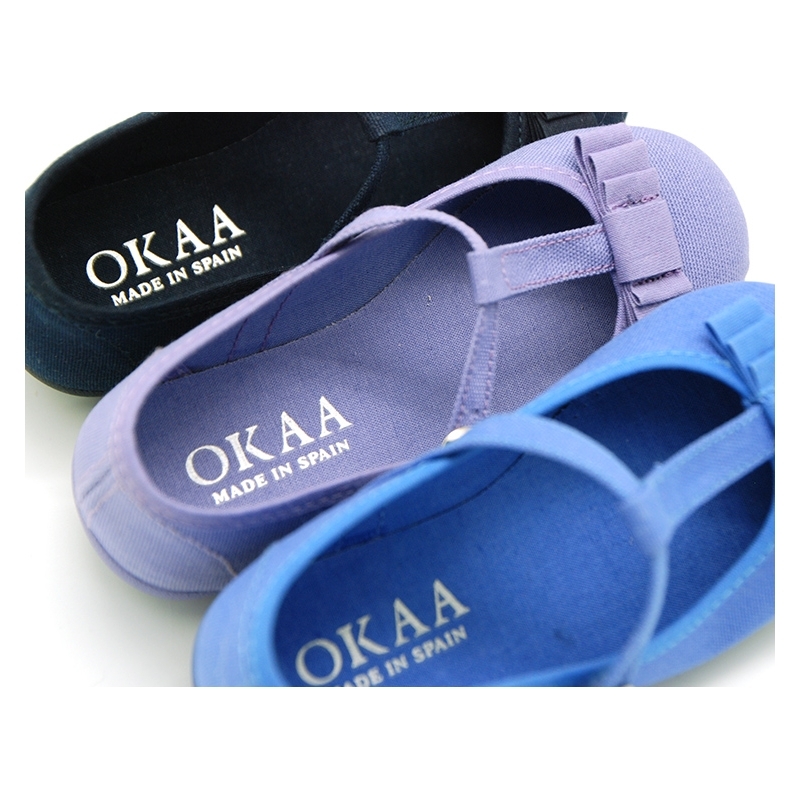 Made up of 100% natural cotton canvas with high quality finishes. Very practical and fits with every garment this spring-summer. It´s a new model, very different, elegant and sweat. T-strap Mary jane shoes are very trendy in girl´s shoes. Made in very fashion season colors. Available in 10 colors. Range of sizes, from 19 Euro size up to 36 Euro size. SIZING REGULAR. 100% manufactured in SPAIN. 100% Washable. They may shrink. 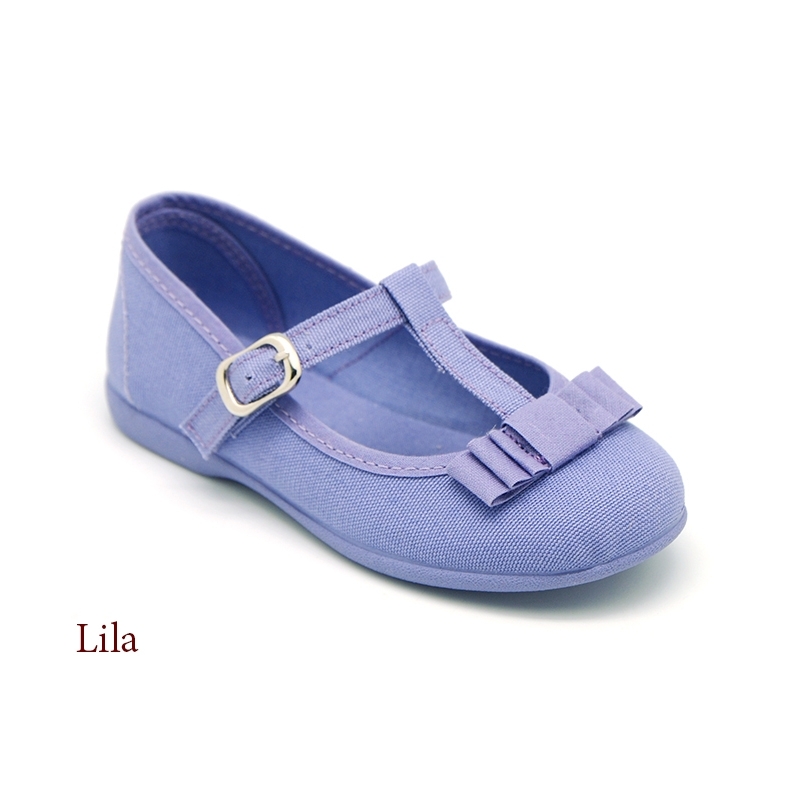 Data sheet about Cotton canvas T-strap little Mary Jane shoes with bow. 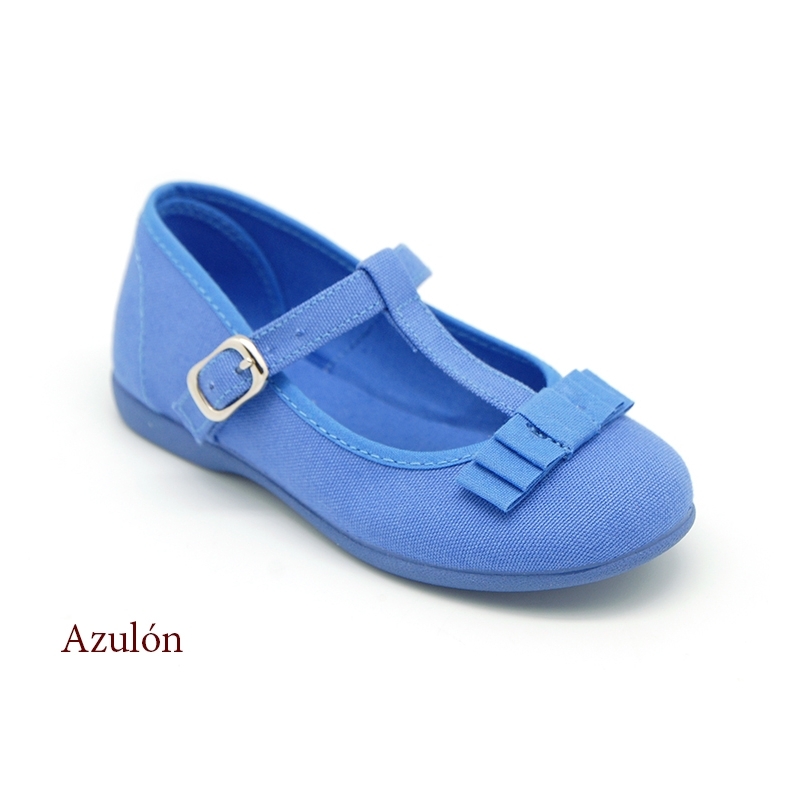 Realmente bonitas, he pedido unas de color piedra para mi niña y al natural son todavía más bonitas que en las fotos.